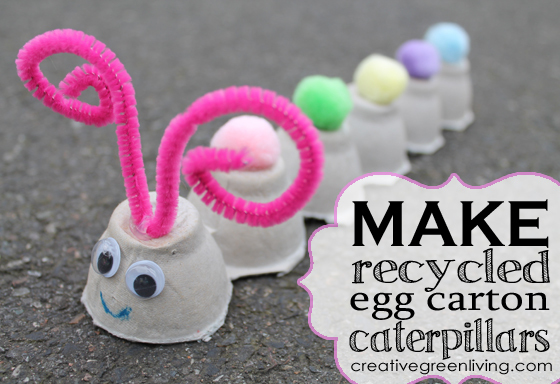 Empty egg cartons can be upcycled into all sort of great projects, one of which is by making the classic egg carton caterpillar. This is a really fun project to do with your child(ren), especially if they are into the book The Very Hungry Caterpillar. You can, of course, make your caterpillar many different ways but if you are looking to create something similar as seen in the picture above then click here and visit Creative Green Living to see how easy it is to create this cute little caterpillar.